I love my two oldest children, but they tend to fight. A lot. Kath is liberal and strong-willed. MJ is conservative and equally strong-willed. My usual thought is to let them settle their differences unless one is sitting on the other or blood is spurting profusely out of one of them. Then I step in. My WH says if they ever figure out how to work together since they are also both very intelligent, we’re in true trouble. So when they aren’t fighting and are having a real conversation with the other, I tend to listen. One to make sure they aren’t plotting against my WH and myself, and second because when they agree on something, it’s worth hearing. Yesterday, MJ started talking about an informal poll he took in his seventh grade math class. He asked his fellow classmates what their favorite book is. He expected a lot of people to say The Hunger Games and expected to extrapolate some data on reading habits for his math project. Most of the people in his class told him they don’t read unless it’s for school. Now, some of them may have said this because reading may not be perceived by some seventh graders as the coolest activity (and for the record, reading is the coolest activity, ever.) Nevertheless it struck me that for some kids in middle school, they no longer want to read books. MJ piped up immediately and said he didn’t know and didn’t want to know. They talked some more about the topic, both agreeing (which, if you didn’t gather from the first paragraph, was a minor miracle in and of itself) that a life without books isn’t what they want from their lives. As a parent, I loved this conversation between them, but as a person, it left me worried. What do people who don’t read books do with their time? There are some days I may only get to read a couple of pages of my book, but I love to read and try to read everyday. To me, one of the things I’m looking forward to in winter is snuggling in front of the fireplace with a roaring fire going and a good book. With the proliferation of the home computer and now the sheer number of television programs, are people eliminating books from their daily lives? I hope not. There’s something to be said for living life, and days are often full with work, school, children’s activities, the rare date with WH, family time, meals, and so on. But to me, the day isn’t complete without opening the pages of a book or opening my Kindle and reading part of a story. 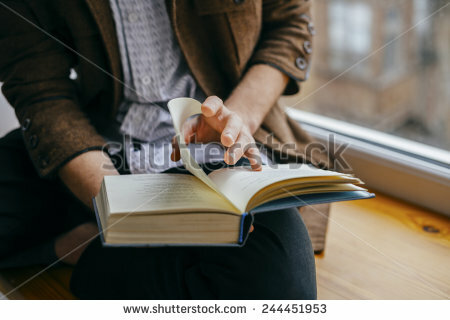 The wonderful thing about reading is I’ve gone to outer space, medieval times, tropical islands, pioneer America, the cold climes of Canada, and more all from the comfort of my couch or my bed or wherever I open my book. The other day, Cupcake came home and said her teacher gave her books to take home. I tried to explain to her that I bought the books from Scholastic and paid for them. She didn’t care. She just wanted me to read them to her and Chunk. They cuddled up with me, and I read to them. Yesterday as MJ and Kath were debating what people who don’t read do, I was struck once again with the age differences between my kids. But I’ve written this before, and I think it bears repeating, I hope that kids and adults of all ages continue to read books even after they graduate from school. I didn’t have an answer for MJ and Kath about what people who don’t read books do all the time. I still don’t have that answer. But it made me think. There’s a book out there for everyone. So go find one and read. What are you reading now? When was the last time you finished a book? Let me know.